Just 2014!!! You are such a newbie, Anja. It is easy to forget that because your work is lovely and I have watched you improve your FMQ. And now EPP too. I am impressed and humbled too. Love your quilts, with a modern twist. 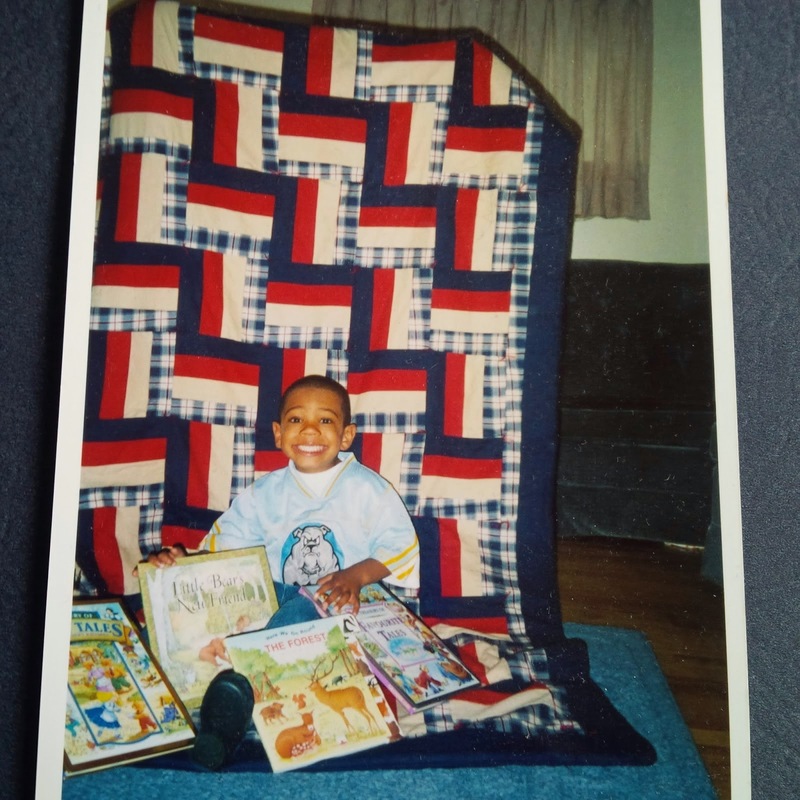 What a wonderful aunt you are to have made SEW many replacements for your nephew's quilt that went to quilt heaven!!! I have been reading your blog for some time now. Your quilts are truly amazing. I also love working with solids - they really make the quilting shine!! Lovely post, Anja! Well done. I love that boxy stipple. Great job! 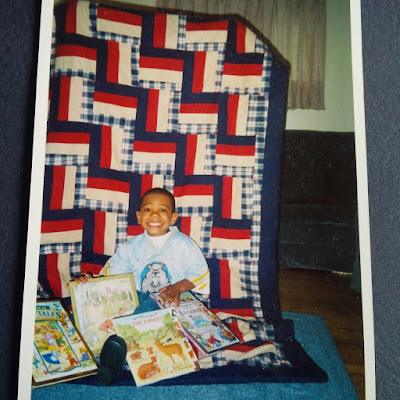 I have made all my 6 nephews small quilts when they were younger and now I am on the second round making them larger ones. Lovely to meet a fellow Canuck and I look forward to following along via email. The EPP diamond looks like a work of art in itself. The corner tails add to the design. Nice to meet you and see your work. We've made several trips to Atlantic Canada and love that part of the continent. Love the reason you started a blog! and the quilts are lovely!! 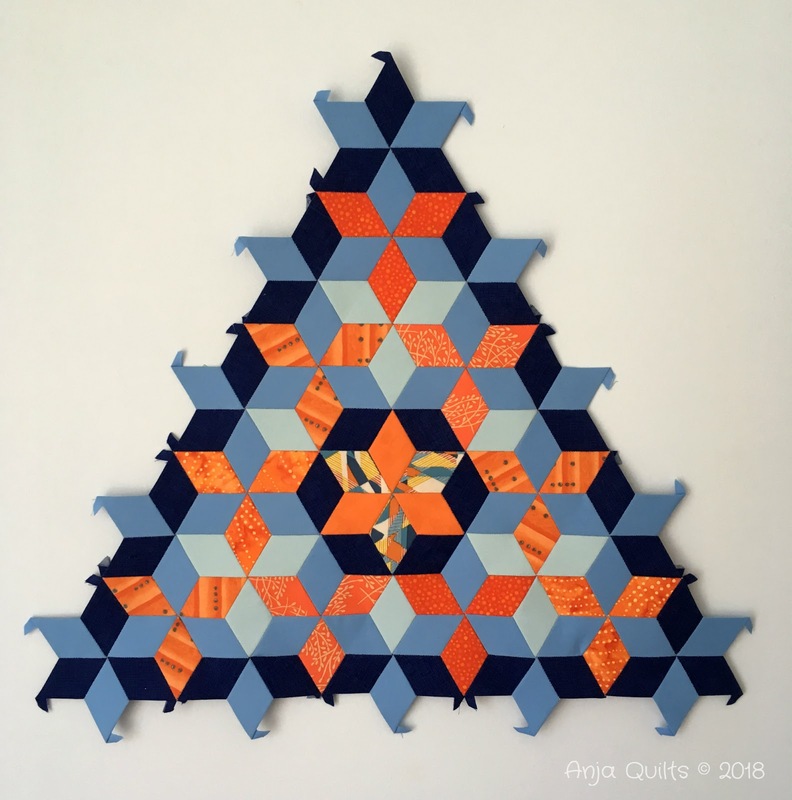 I love your Digital Wave quilt Anja - so wonderful. Love the Gravity quilt in your header! Such a showstopper!! I was glad to see the pop of orange in the final quilt Anja . I was getting worried there for s bit ! I love EPP - actually, I love hand sewing. I hope you enjoyed making your tree quilt; sometimes you just have to 'live with it' before making border decisions. Your quilts with lots of solids are lovely--I have not done an all solid one yet, but intend to at some point! Nice to meet you! Love your EPP project - its looking brilliant and the happy photo of your nephew is lovely! Nice to meet you, I enjoyed your blog tour. Thanks! I enjoyed looking at your quilts and pillows. Beautiful work. The EPP is really lovely. Great post, I enjoyed learning a bit more about you Anja. That EPP piece you are working on is stunning! Nice to meet you on the Quilter's Meet and Greet! 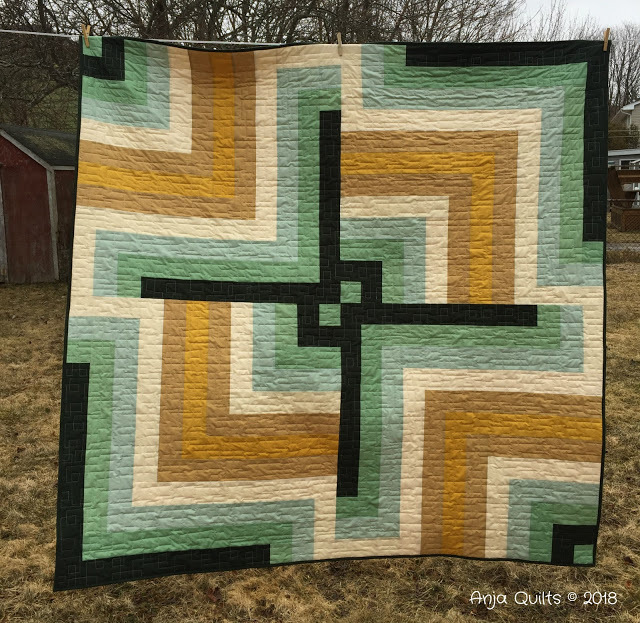 Your quilting is lovely, new Bloglovin follower! Nice to meet a fellow Canadian on the tour. That smile on your nephew's face says a lot! Enjoyed my visit - thank you for inviting us. The smile of that little guys face says it all. Nothing better than our quilts getting loved to death! You EPP is absolutely gorgeous! Glad you joined in on the blogging world. 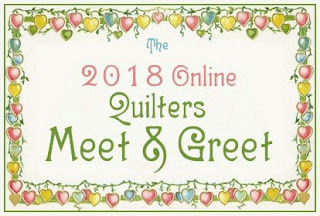 Your quilting on Digital Wave is a super finish, and the thread goes so well with those delightful fabric choices. Your projects are all Super!! My Grangirlie would LOVE the Unicorn! :) Thank you for sharing all your Beautiful creations! 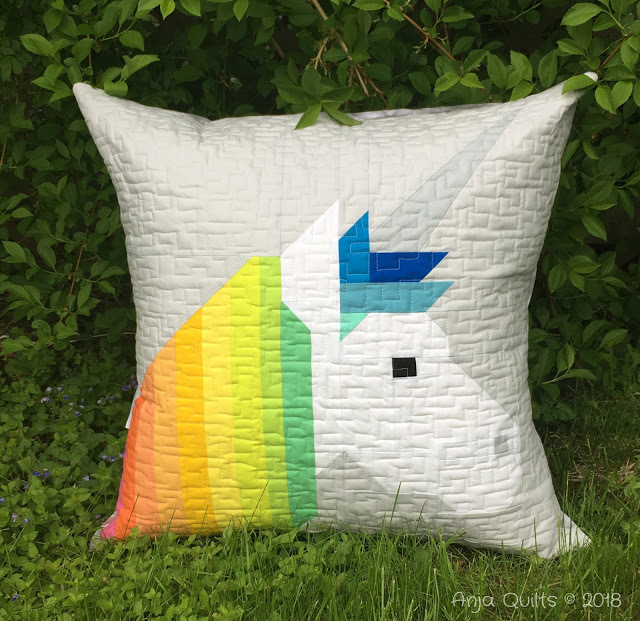 The unicorn pillow is cool. I'm making an EPP with the diamond pieces but turning them into stars using some of my many florals. What a lot of posts I haven't commented on! I love all the pillows and how they're all colour/fabric co-ordinated. Doesn't your guild do a pillow drive for the IWK or something? And you do seem to make a lot of progress on all your projects. Keep up the good work!